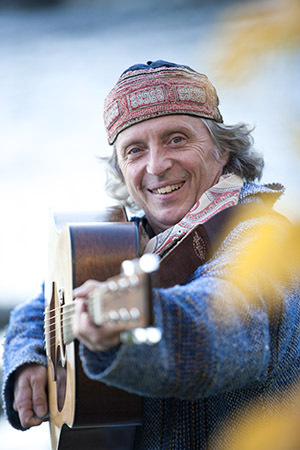 Lansdowne Folk Club presents Canadian singer-songwriter James Gordon on Thursday, April 25, 2019. Held at the Twentieth Century Club, 84 S. Lansdowne Avenue, Lansdowne, PA, doors open at 7:00 PM and show begins at 7:30 PM. Tickets are $17 when purchased in advance online or with an advanced phone reservation and $20 without an advance reservation. Cash only accepted at the door. His song Mining For Gold was featured in the John Sayles film Silver City, and was included on the classic Cowboy Junkies album The Trinity Sessions. Gordon’s classic Frobisher Bay has been recorded by more than 100 different acts world-wide, has become a standard in choirs everywhere, and is in Rise Up Again, the sequel to the legendary Rise Up Singing songbook. Well known for his songs about social justice, heritage and environmental issues, he toured for two years with his hugely successful political theatre piece Stephen Harper: The Musical. (It worked. You’re welcome.) The full-length folk opera Hardscrabble Road debuted live in the fall of 2003 and proved to be one of his most ambitious works. Gordon has produced CDs for many Canadian folk artists, and his popular ”Rhyme Capsules” songwriting-in-the-schools project has resulted in over two dozen CDs of songs by young composers. In the last three years he’s toured in Great Britain, Cambodia, Vietnam, Japan, and all across North America. His new album Sunny Jim(released on Borealis Records) has been his best received to date, reaching #2 in Canada and #24 in North America on folk & singer-songwriter charts. Learn more about him at www.jamesgordon.ca. Other upcoming concerts this season include Spook Handy Remembering Pete Seeger on May 9 and Gathering Sparks on June 6. Parking is available on the street and at the SEPTA train station approximately one block away. Handicap parking* is behind the building. For reservations, advance ticket sales and more information visit Our Tickets Page, email Lfolkclub@gmail.com or call (484) 466-6213. Cash only accepted at the door. Founded in 1993, the Lansdowne Folk Club is a 501(c) (3) all volunteer non-profit corporation dedicated to presenting folk, acoustic and blues music.